I grew up in gray wolf country and, believe me, it's not like the program was being underutilized. 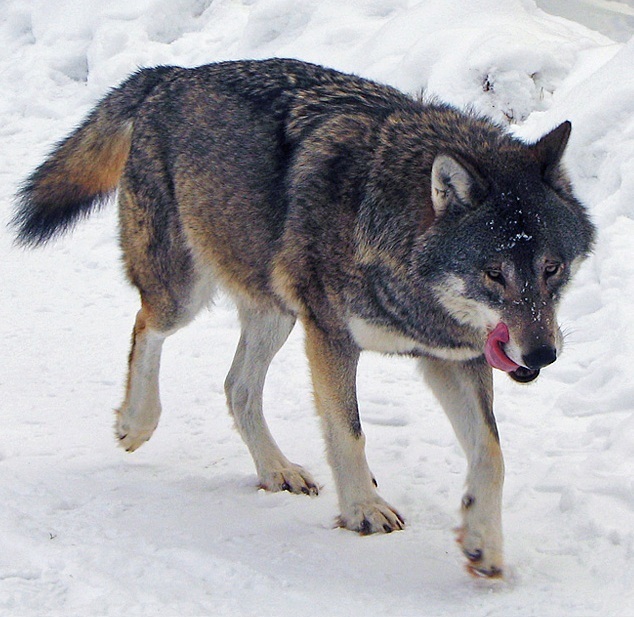 Wolf attacks on livestock and pets are more of a problem now than they've ever been. My dad still has a beef cow-calf operation on my home farm and every year cows and calves are lost to wolves. I vividly remember one night during our first spring farming up north. I had just finished the late calf feeding (we were milking the cows and feeding the calves three times a day then). It was a black, moonless night; only the yellow glow from the yard light kept the darkness at bay. I was standing by the calf hutches when the wolves started. First, one wolf calling out. Then, the rest of the pack answering. If you've never heard a pack of wolves communicating, you can't imagine the involuntary tingles that run up your spine after the yips and howls register in your brain. After the tingles, the fear and the worry set in. I had twenty-some baby heifer calves outside and more cows ready to calve in the pasture. And I was legitimately concerned about their safety. We had a dog on the farm, but that was no longer much consolation. When I was a kid, a farm dog was enough to keep the wolves away; but that wasn't the case anymore. In recent years, we'd had wolves within 100 yards of the barn. The yard light would help, but it was no guarantee. The federal wolf-control program – the one that was cut – at least gave us some recourse when wolves caused problems. A phone call to Bill, our federal trapper (whose number was written right next to the phone in the kitchen) might not always result in the removal of the culprits, but at least we felt like we were doing something. 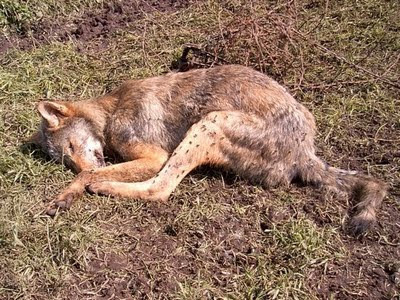 If we were lucky, the wolves would still be around when Bill came and they'd be removed, like this one. This wolf, a yearling who Bill said had likely just left his mother, and another yearling wolf were trapped after several attacks on my father's beef herd during the same spring I mentioned above. I don't like posting ugly photos, but I've been saving this photo for an opportunity like this. The photos we normally see of gray wolves, like the one at the top of this post, are of beautiful, healthy animals. 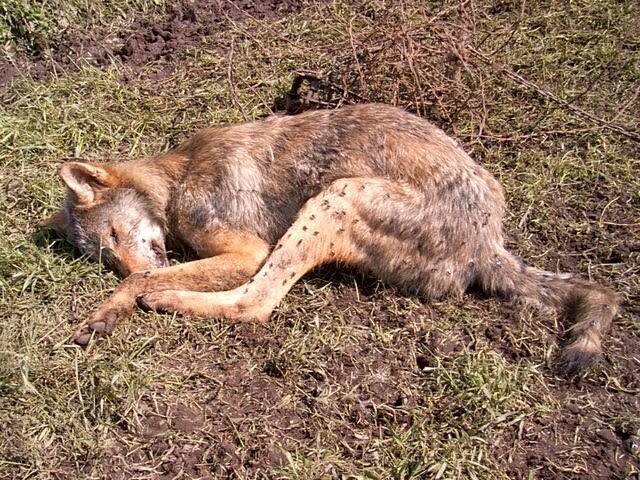 In reality, most wolves in the wild have some degree of mange, like this one did, and they don't look nearly as picturesque as most photos depict them. Nor are they as well-fed as the wolves normally photographed. And, as the wolf population continues to grow, so will the number of hungry wolves. Hungry wolves who can't find anything else to eat prey on farm animals and pets. Without the federal wolf-control program, there will be no legal recourse for the farmers and ranchers for which wolf depredation is a challenge.